Am I going to miss home? Living away from home for me, has got to be one of the best things about exchange. I’m not sure what the other bloggers have found, but as someone who’s never lived out of home before – having my independence has been the best. Whilst some days I put off doing the washing forever, and I’ll get takeout because I can’t be bothered cooking I love the fact that what I do, is what I decide to do. I think it’s similar to when people first move out of home – either you’ll love it or want to go back. Right now I’m struggling to come to terms with fact that I’m going to have to go back to living at home! One of my real concerns about being over here, was that I wasn’t going to cope. I wouldn’t be able to cook, or I’d ruin my clothing washing for the first time and other stupid concerns like that. The reality has been that I haven’t even got that homesick. I have spoken to some exchangers who really want to go back home, but for me, going home is the last thing I want to do! 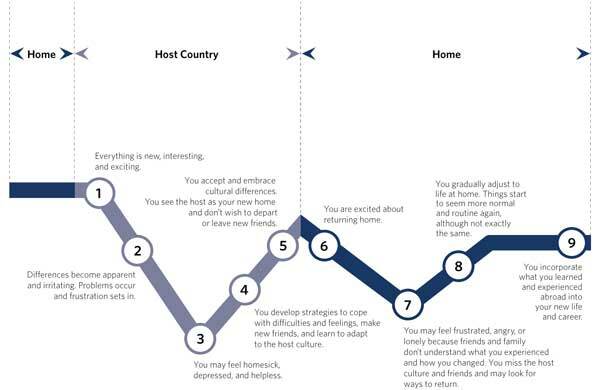 When you go on exchange, in the pre-departure briefing they show you a diagram that says that when you get to your exchange destination, there’s going to be a period where you’re upset, depressed, etc and want to go back home, after which things get better as you adjust living in a different country. For me, that couldn’t be further from the truth. I remember my first few days here as pure bliss – as my flight got into Amsterdam I could look out my window and see windmills, bike paths and the landscape was completely flat for as far as the eye could see! My first trip on the train, looking at the landscape, then being driven to my accommodation in Maastricht in a Mercedes S-Class (it was just a normal taxi!). After that came the first time I meet new people in the Guesthouse, then there was INKOM – the local’s orientation. Then the exchangers orientation run by ESN. And just when I thought things couldn’t get much better, then came my first trip to a new country on one of my many weekend trips. It just didn’t stop. 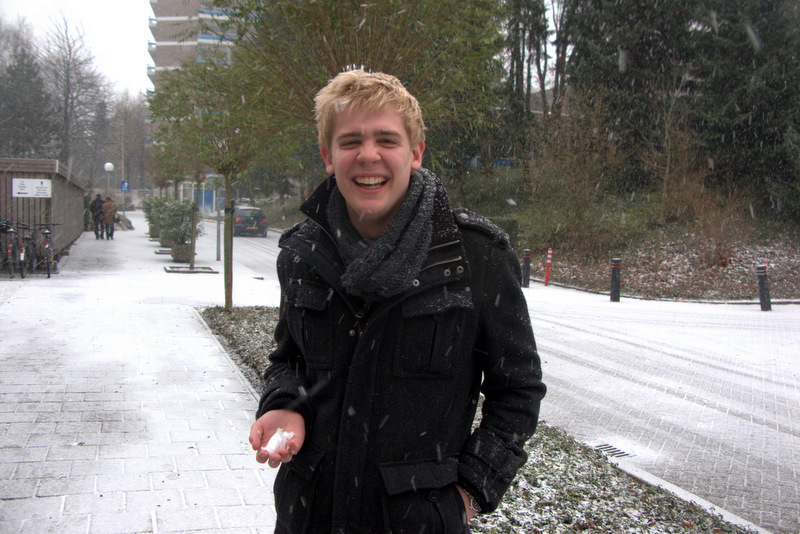 And then there was the first time it snowed! Ever since I’ve got here, things have just got more and more amazing and the only low points I can remember from the past 4 months are exams (which went as quickly as they came), and the point when I realized I wasn’t going to be seeing the sun for the next few months (Dutch weather, believe me when I say it’s horrid!). 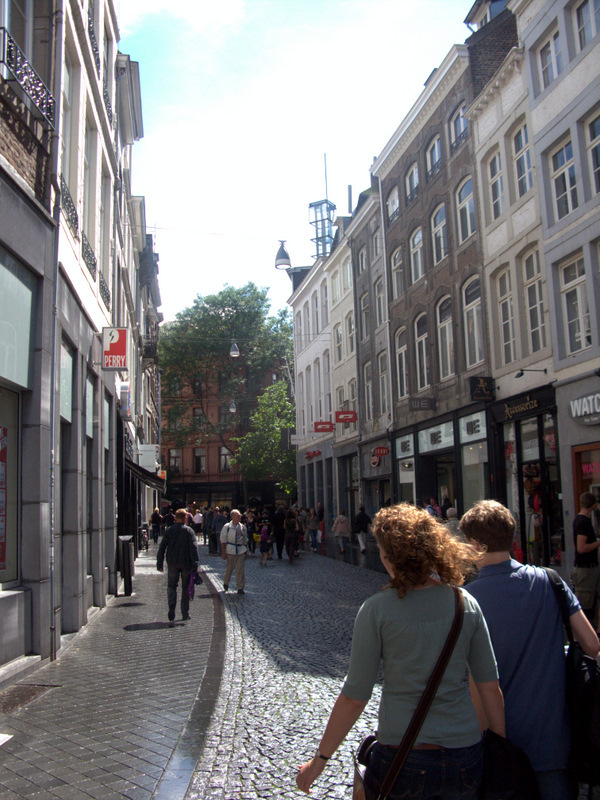 Sure studying at Maastricht is a challenge (and that is putting it at its mildest!) but I’m at the point now where I think there’s a reverse bell-curve going on, and now that I’ve only got about 3 weeks left (!! I have no idea where the time went !!) I’m getting more and more depressed. Sure there are things that I miss about home. I’m very much looking forward to mum ‘helping out’ with the washing and cooking (:P), and I’ve really been missing people back home (and my dog!) but if I could extend my stay, I would. I remember thinking at the time I was planning – would I stay for a year if I could. Then I was a little afraid of the unknown. Now, if circumstances were different I’d be here for a year in a flash. Europe is the best. Everything is so close. Everyone is beautiful, and friendly to chat to. Exchangers are always up for fun. The food is amazing. The destinations are stunning, and so easy to get to… I could seriously go on for hours. So whilst I do miss some parts of back home (i.e. sunlight, any resemblance of warmth, proper meat, and BBQ sauce which annoyingly you can’t get over here :/), the positives far far far far outweigh the negatives and all of this only adds to the fact that I seriously don’t want to go back! If you’re thinking about staying for a year, do it! You won’t regret it, and I so wish I could. How on earth do I know what I’m going to spend? Before I start though, I do want to give a little word of caution about my story. What I have/am set to spend isn’t what most people spend. Looking at one of the other bloggers, Leonie, everything in Warsaw is a lot cheaper than what you’ll find in Western Europe! I remember, my trip to Budapest I spent more on the flights than I did the weekend so where you go has a big impact. Also what you do with your money is another thing. Friends of mine here use Libera for their mobile – it’s a low cost provider, but they don’t provide an internet service, and I ‘need’ (a relative word haha) internet for my iPhone. So I use Vodafone and spend about more. Similarly, in terms of food costs, there are a few supermarkets in the Netherlands. Of the ones close to me, there is Aldi (super-low cost), C1000 (mid-range) and the Albert Hein. Most people do a mixture of their shopping at Aldi and the C1000, where as I think I get better quality food at the Albert Hein. Another way I could be spending less, but I don’t. Another big cost is travel. And by big I mean huge, and monstrous. I wouldn’t have it any other way, because seeing the world is simply incredible, but around half of what I’m spending on exchange is on travel, and that’s no small amount of money! If it wasn’t for the amount of travelling I’m doing, I’d probably have only spent about AUD$10,000-$15,000. Right now I have a friend on exchange at Leeds in the UK and he’s on track to spend about AUD$12,000. How I don’t know, but around that is what most exchange students I’ve spoken to tend to spend. Finally, and this is something I have and really want to stress – no amount of budgeting, or worrying about money can ever tell you one thing – what exchange will be worth for you. I’ve written about it heaps, and that’s because I strongly believe it. Exchange is without a doubt the best thing I’ve ever done, and will do for a long long time. I’m seeing the world, meeting amazing people and having a fantastic experience – all whilst getting credit to my degree. Without a doubt, I don’t regret anything about what I’ve done here, or will do, and wouldn’t have it any other way. That includes how much money I’m spending. Exchange is expensive, but what you get out of it is so immense, and really cant have a price tag on it. Please keep this in mind when going through the budget and figuring out what you can afford. Anyway back to the budget – the documents I’ve provided should help with entering information, if you have any questions please send me an email (andrewgeoffreymoore@gmail.com) and best of luck! I really mean it when I say everyone should do exchange, it really is incredible, and if costs are an issue there are a variety of methods to do it. You won’t regret it! Before I left Australia I had all sorts of questions and normally when you go on exchange, you’re given the details of the last student(s) who went to the uni you’re going to, to help with those questions. Sadly that wasn’t the case with me. 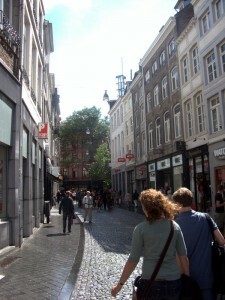 See I’m the first exchange student to visit Maastricht University (as its a new partner) and there was no-one to really ask – so when I was talking with the exchange staff, and I was told that at Maastricht I wouldn’t be getting much travel done (see my last post about studying here :$). When I heard that, a little part of me died inside. 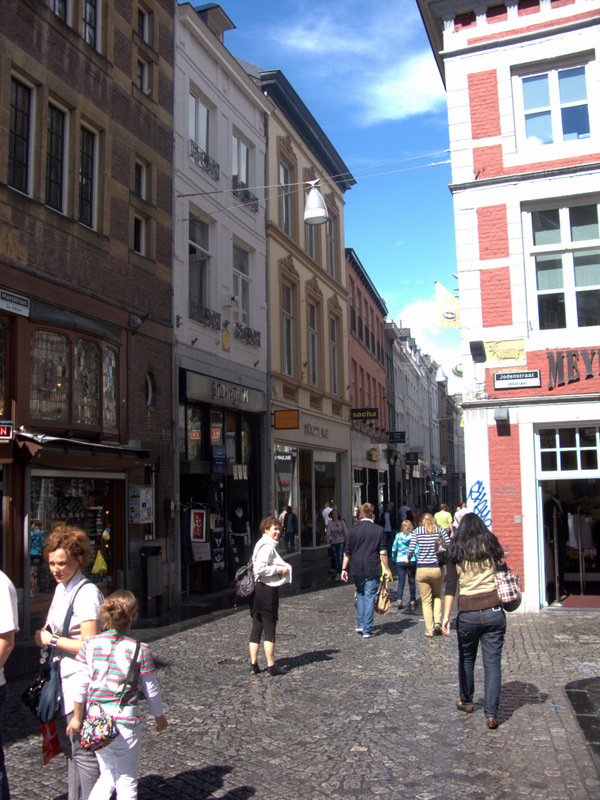 The reason I chose to study (cough cough) at Maastricht was so that I could see Europe as a (semi- but not really) European. My belief is that you go on exchange to have a life experience, and studying is just one part of that. It costs a heap of money to go too, so I wanted to make the most of it and travel was the key part of that for me! 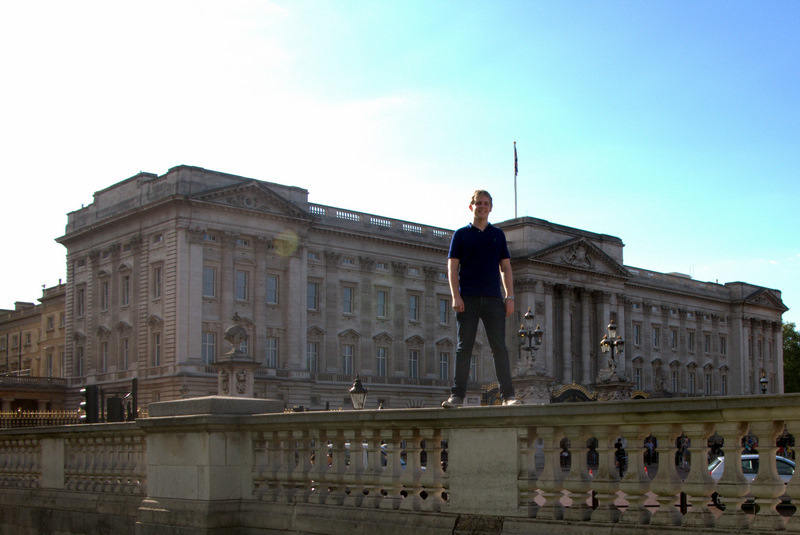 I wanted to see places like Paris, Rome and London, and in my head uni wasn’t going to get in the way of that… much. Thankfully now that I’m actually here , I’m very happy to say that they were wrong! 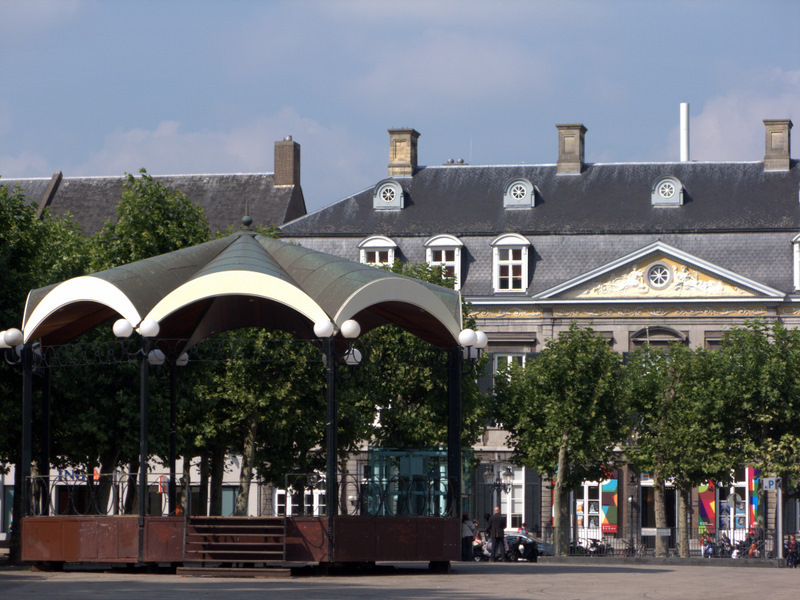 Don’t get me wrong – Maastricht is tough. The courses are intense, and mandatory participation/attendance is incredibly annoying, but I think you make time for the things you want to do. So far I’ve been to a heap of places. I’ve seen London (where I actually saw blue sky :O), Dublin (experienced first hand why the Irish drink so much, the weather! 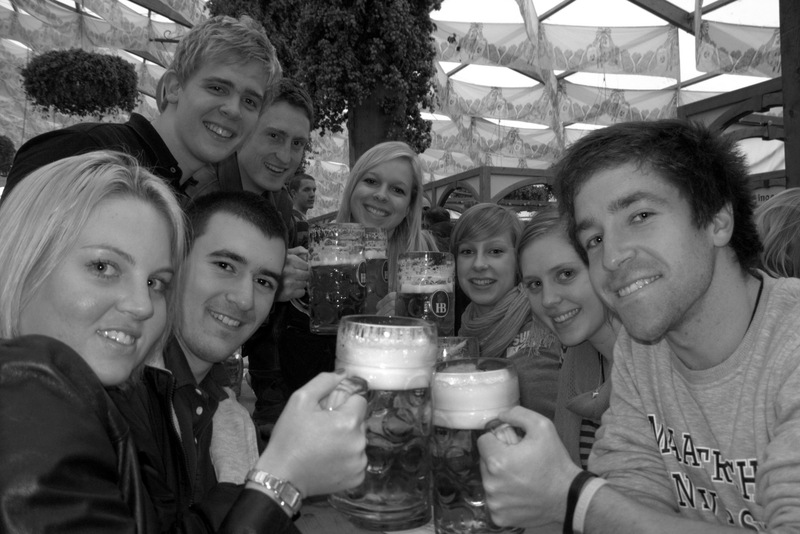 ), Munich (for Oktoberfest!! ), a fair bit of Holland (Amsterdam, Rotterdam, Utrecht, Den Bosch, The Hague, Volendam & Scheveningen) as well as Budapest (simply amazing, without a doubt, amazing. Everyone should go!). That was in just 10 weeks! 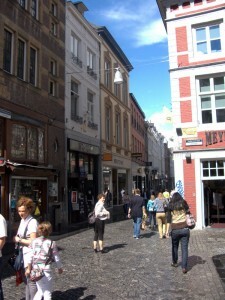 In the next ‘block’ (think school term, as I said Maastricht is weird!) I’m visiting Paris, Amsterdam again, Barcelona, possibly Stockholm and Porto in Portugal. Then I’ve got my Contiki Tour haha. The point I’m making is that people will say what they want when you’re thinking of going somewhere. The advice is mostly really helpful (the best I was given was to 1) bring over an Australian powerboard, and attach it using a European adapter – it means instead of having 7 adapters, you can use one for the same purpose. And 2) also bring space bags, when packing backpacks to take on Ryanair, it makes putting your clothes in so! much easier!) but take some things with a grain of salt. I’ve had people tell me they didn’t like places that I ended up travelling to on the weekends, and instead of hating the place I loved loved it! Exchange is what you make it, I’m really enjoying myself (and majorly wishing I could be here for the whole year) but technically, based off what I was told I wouldn’t be going to any of the above places and instead I’d be stuck in my room studying. I know people here who are here doing that, but they’ve made the choice to place one thing as more important than another. Pretty much one of my biggest! concerns about going on exchange was just that – am I going to meet anyone, or am I going to be in my room crying for the next four months? Back in Brisbane things for me were nice and safe – I have an amazing partner, awesome friends and a whole city of people and places I know. Going on exchange meant changing that, going to a new place not knowing anyone… at least in the beginning. I’ve been here nearly 2 months now, so I’m quite settled in but I still remember getting here and feeling so lost. I’d just traveled 12hrs from Bangkok to Amsterdam, then (somehow) managed to find my way to Maastricht (thanks to a lovely elderly couple who helped me find my train). Here though the real work began, because it is literally a case where I was on the complete and utter other side of the world, not knowing a soul. The thing is though, and I’m sure every exchange student (including myself) will agree – it doesn’t stay like that! I arrived on Sunday night, was so tired (add a 5hr train journey onto the above travel time :/) and I asked the security guards to help me order take-away food** and then slept. 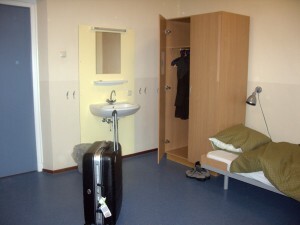 The next day after exploring Maastricht for a little bit, others started moving in and there I met some of the people in my corridor. Many have all different kinds of things to say about Americans, but the ones I met that night were lovely! and not having any plans for dinner (the whole not knowing anyone didn’t help! 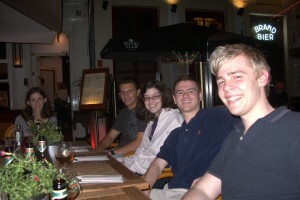 ), they invited me out with them all and sure as anything I’d just made my first friends on exchange. It was seriously that easy. ** when you leave Brisbane, make sure you take at least 100 euros with you. I’d probably suggest 200-300 euros, if not more, for the first few days. Train fares, lunch and taxis are just the beginning, and you don’t want to find your accommodation, unpack, nearly fall asleep and realise your extremely hungry, with no money for dinner! Hi guys, well my name’s Andrew, I’m 19 and I study a Bachelor of Business at QUT. This year, in second semester I’m spending five months on exchange, and I’ve been asked to write about it. The main reason I think is because going on exchange is a really big decision. It’s expensive, and means leaving everything back home – but that’s the beauty of it. 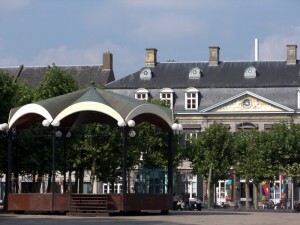 My five months are going to be spent in the Netherlands, in a town called Maastricht. It’s quite small, just over 120,000 people (when university is in), and really different. The city looks nothing like Brisbane (see below), most locals speak about 4 or 5 languages (thankfully one of them is English) and it’s on other-side of the world. It’s so different to back home, and that’s why I chose it. Hopefully what I write over the next few months will help inspire more people to go on exchange, because for some reason not many people from QUT do it. I’ve been here for a couple of weeks now and I can say without a doubt it will be the best thing I’ll do for a very long time. The people I’ve met so far (locals and other exchangers) are so friendly, I’ve visited some really awesome places (London, Dublin and Amsterdam to name a few) and there are heaps more planned (thanks to Ryanair). Before I left I had heaps of concerns, I mean getting on exchange was hard enough! – but now that I’m here I know I made the right decision. I’ve got to play catch-up a little with my next few posts, writing about the first few weeks after the first few weeks haha, so please excuse the time-line but hopefully by the end it’ll give an accurate depiction of what exchange is like, and why you should do it!